Send simulated phishing emails to your users in order to monitor them. Then send them on online training and watch the improvement. 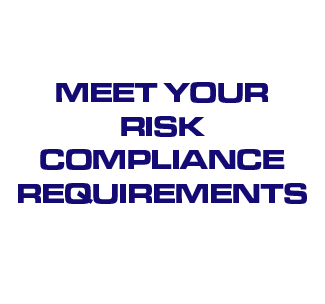 Don’t worry the process is easy with Cyber Risk Aware! 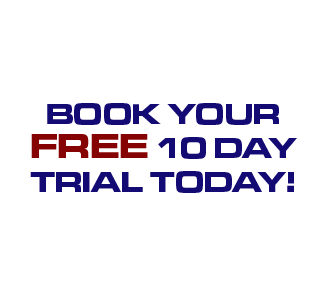 Get your free 10 day trial with Bitrate. 95% of security incidents are caused by human error. Educate your staff now, to protect your organisation against cyber crime! 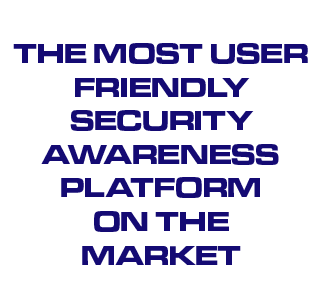 CyberRiskAware is a comprehensive cyber security user awareness and phishing mitigation solution designed to protect your business from being a victim of cyber crime. 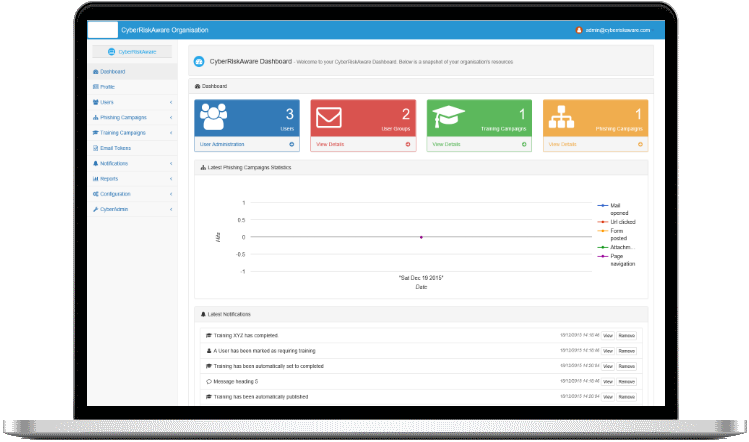 Using a scheduled gamified training program and a unique crowd-activity approach, the CyberRiskAware automatic user training and compliance mitigation response is immediately executed when risky user behaviour is detected by your existing network defences or if a phishing attack is reported by employees. 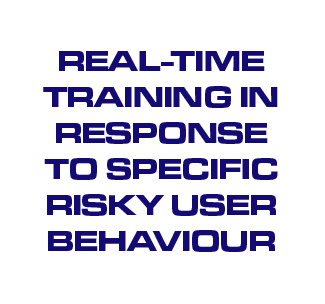 CyberRiskAware has been proven to work in leading global organisations. Cyber Criminals target the weakest link in security. happening because of user behaviour. does not change user behaviour long term. staff over the last 10 years.